The Uppababy Vista and Rumble seat have been updated for 2015. There is a new chassis, and a new rumble seat! The Uppababy Vista is a top quality, practical pushchair which includes in the box the chassis, carrycot, seat unit, raincovers, UV shade, insect nets and car seat adaptors! The Uppababy Vista has a large reversible seat, huge basket and large extending hood. The Uppababy Vista can be folded with both seats left on. A Rumble seat or Piggyback board can be added to make the Vista a great way to transport two or three children. 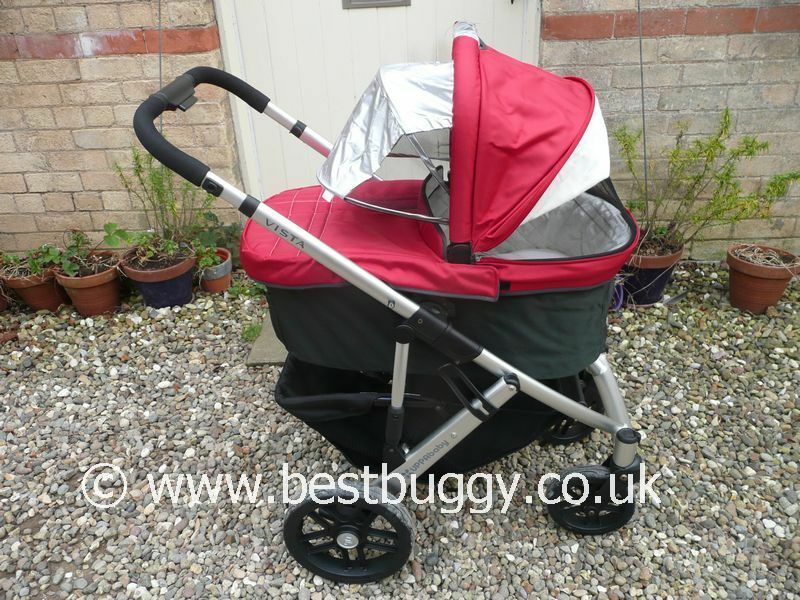 Everything is included in the box - chassis, carrycot, pushchair seat, raincovers, UV shade, car seat adaptors and raincovers. Good value for money. Top quality product. Great design. Reversible seat. Large seat. Massive basket. Huge hood. Travel System. Suitable from birth. Freestands when folded. Can be converted into a tandem for siblings or for twins with a combination of 2 seats, 2 car seats, 2 carrycots or one of each. 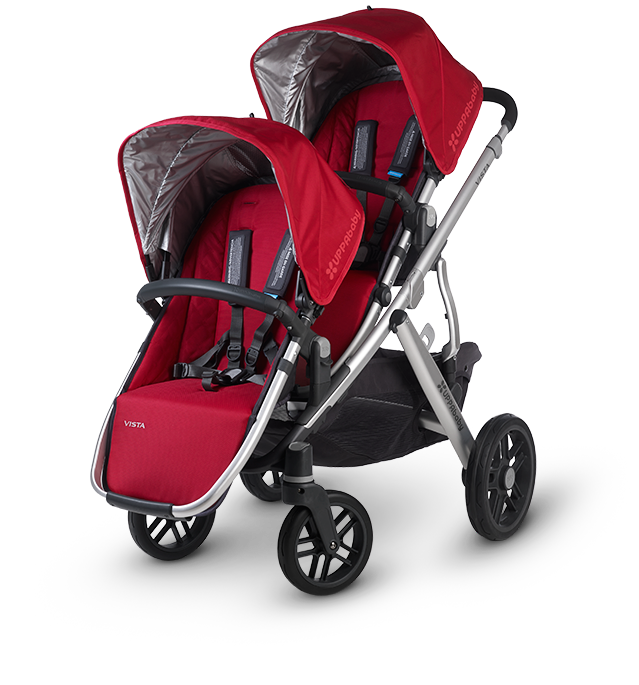 The 2015 model is suitable for a baby from birth and a toddler. The toddler seat can now recline. Can be folded with both seats left on. Care needs to be taken of the legs of the front child when in tandem mode. The seats will only recline in certain positions / combinations. Piggyback board fits making the Uppababy Vista thus can be transportation for 3 children. 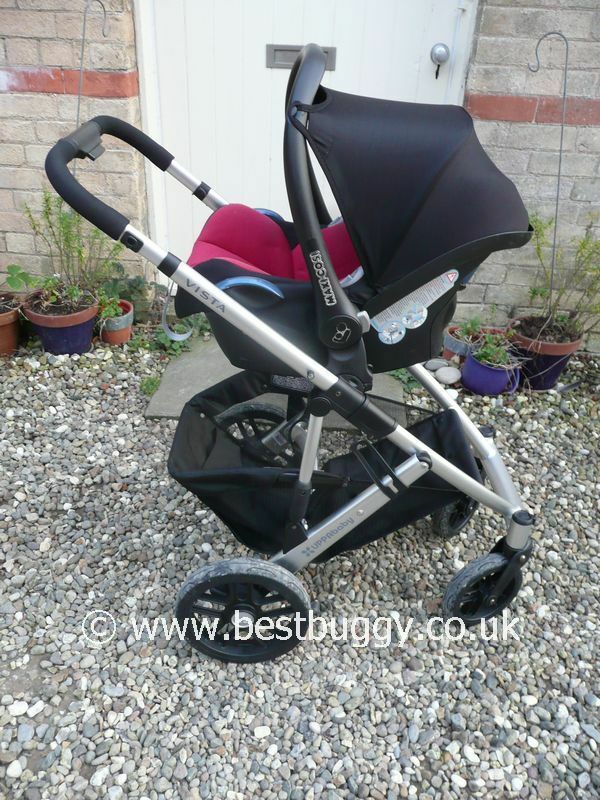 The Uppababy Vista is a very stylish but very practical pushchair. 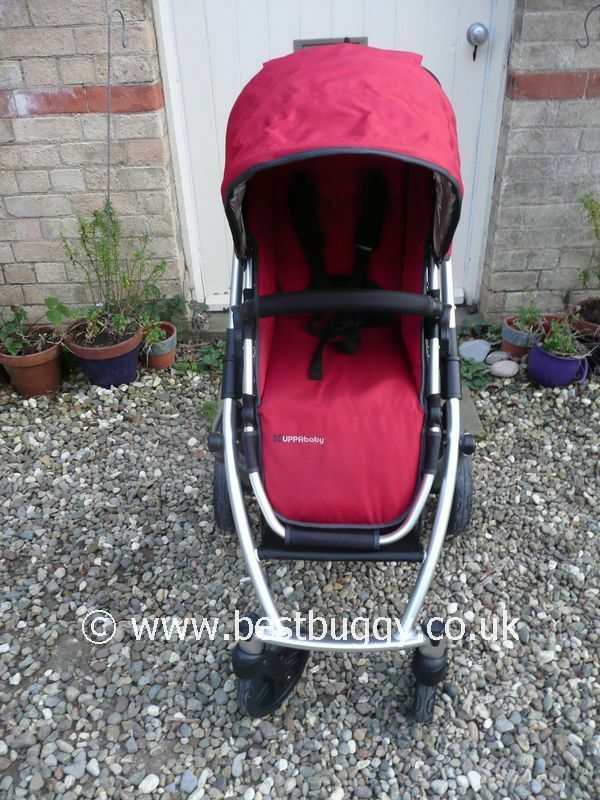 All the essentials come in one box - the stroller chassis, toddler seat, carrycot, car seat adaptors, raincovers and insect nets. Light and easy to push with a large comfortable seat. An almost perfect pushchair! Everything comes in the box to get you started. The seat is roomy with lots of leg and head room. The seat parent or outward faces. There are 4 recline positions each ways including bolt upright for a toddler. The basket is large. 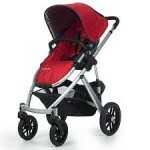 The pushchair is light and very manoeuverable. Great sun visor. 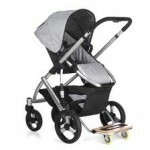 The Rumble seat and Piggyback board make this a pushchair which can grow with your family. Easy to fold. 'No kick' floating arch rear axle. 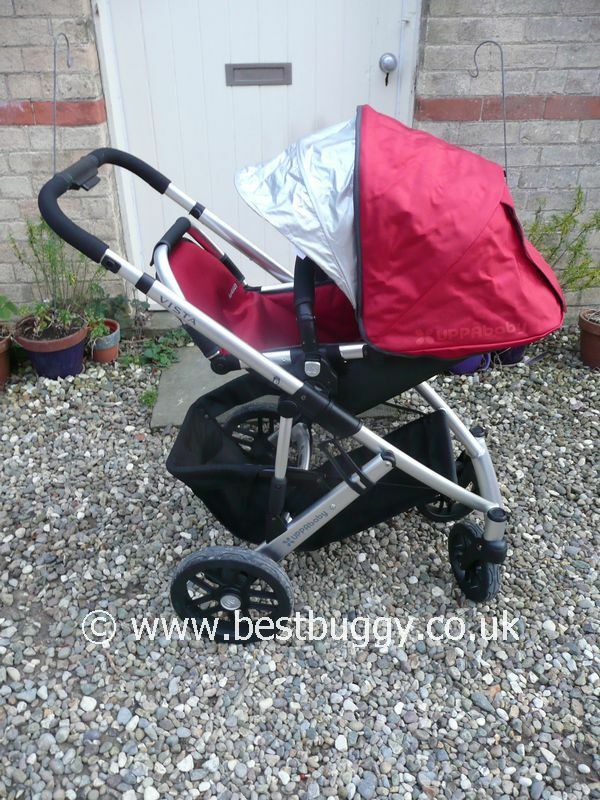 Carrycot folds flat. The front and back of the basket are low and so items can fall out when fully loaded (but the basket is huge!). The main seat can apparently be used from 3 months, but its very buckety and we would advise using the carrycot until 6 months old. 'No flat' foam & rubber wheels - 2 large and 2 small. Lockable front swivel wheels. 104.14 - 111.76 - a tall handle! 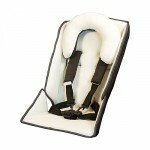 Carrycot and Maxi Cosi Car seat adaptors are included. 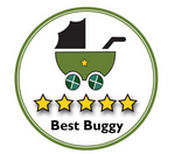 Insect net and raincover are included for both carrycot and toddler seat. 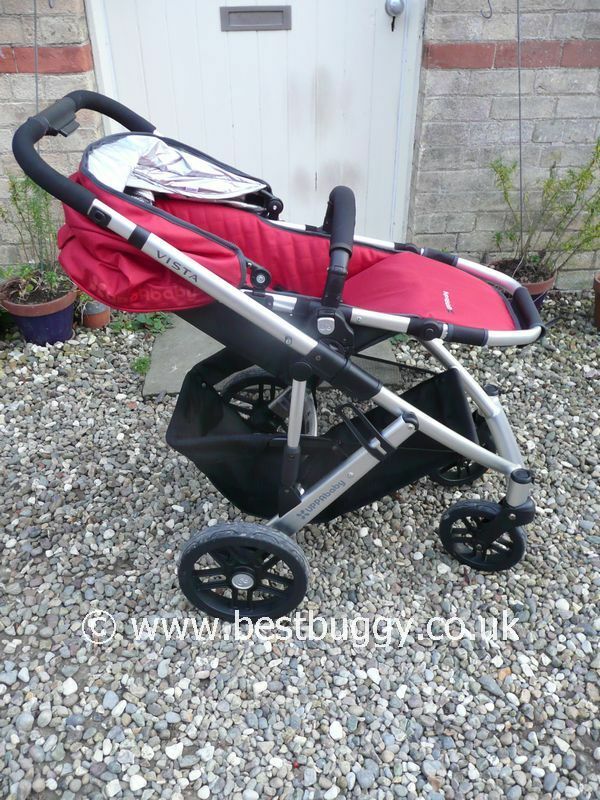 Pushchair folds with the seat on or off. Carrycot weighs 4.08kgs. 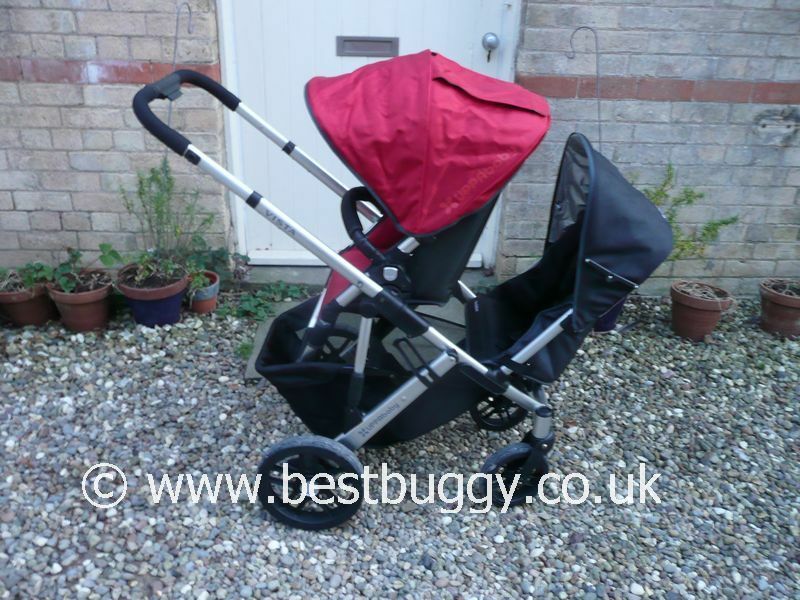 Chassis with carrycot 12.7kgs. All natural bassinet liner of cotton and soya bean fibre - a truly gorgeous carrycot.